Ruff, Gortnagarryaun Strand, Co. Mayo. 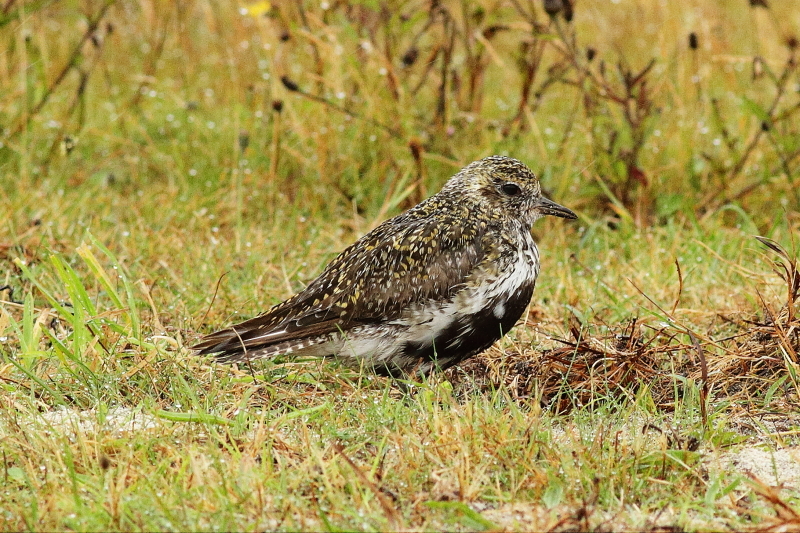 Juvenile Ruff, Gortnagarryan Strand, Co. Mayo. Adult Little Stint, Omey Strand. W3YBYG Sanderling ringed in Parc Nationale du Banc d'Arguin, Mauritania, 3rd Dec 2015. Seen at Gortnagarryan Strand, Co. Mayo, 6th August 2017. R7RYRY Sanderling ringed in west Ghana, 10th Sept 2015. Seen at Gortnagarryan Strand, Co. Mayo, 6th August 2017. G3RBYG Sanderling, Omey Strand, here last autumn also. G1RRRW Sanderling, Omey Strand, returning bird since 2011. Has lost a green flag on left tarsus. Sanderling colour ringed on North Ronaldsay, Scotland this May seen at Omey Strand. G3YWBW Sanderling, Mannin Bay, here last autumn also. G3RRWB Sanderling, Mannin Bay, here last autumn also. Icelandic colour-ringed Oystercatcher, Ballyconneely Bay. 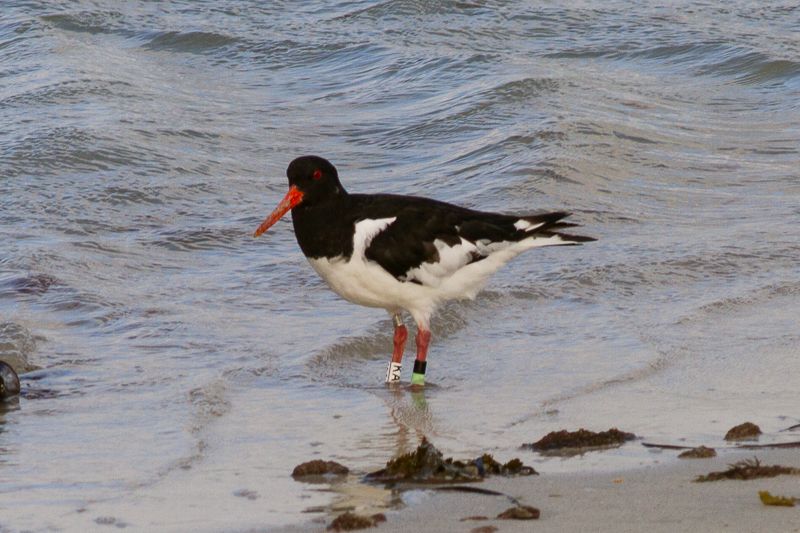 This bird was re-colour ringed this summer in Iceland as some of the original rings had fallen off.